Product Type: Brodit Car Cradle Holder For Cable Attachment. Fitment: Apple IPad For All Countries. Tablets (Surfpads) should not be installed onto a car?s dashboard if they block the view or block key controls. 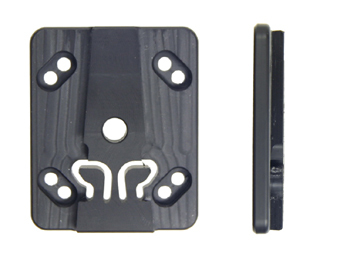 ProClip (Brodit?s vehicle mounting bracket) is designed for installation of smaller devices like mobile phones and GPS devices, ProClip is not designed for large devices like tablets. 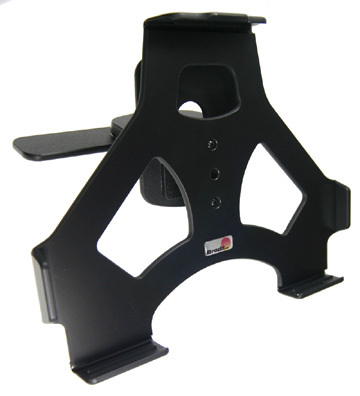 In some vehicles the ProClip has an extra firm fit and can then be used also for installation of a tablet. If you want to place a tablet onto the car?s dashboard, each combination of tablet-car must be examined in detail by you in order to determine if such an installation is possible in the specific case. Consideration should be given to the position and how firmly the ProClip is in place, as well as the size of the tablet you wish to use. Brodit will not give any recommendations for such installations. An installation of a tablet onto a vehicle?s dashboard is always done on the customer?s own responsibility. 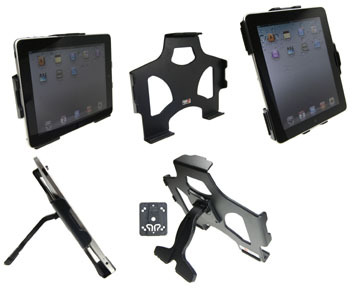 Brodit recommends to use tablets on the car?s headrest, installed onto a Brodit headrest mount. The drop-down list below provides a list of other devices which this Car Cradle Holder For Cable Attachment also compatible with. That means you can mount the listed devices using this product "as is" without any modifications or additional preparation. 1. Installation of cable: Place the holder with the frontside upwards. Place the connector into the lower part of the holder. The mark pointing upwards, so you can see it when placing the connector into the holder. Place the lid over the connector, make sure the cable is in the correct position. Press the parts together and flip the holder so the backside is upwards. Screw the lid into place by using the enclosed screws. The cable is in place. 2. Installation of holder: Loosen the screw in the center of the holder so you can remove the tilt swivel attaching plate on the back. Place the attaching plate onto the desired position. Screw the attaching plate into place with the enclosed screws. Place the holder over the attaching plate so the screw fits in the hole in the tilt swivel. Screw a few turns on the screw, just so the thread starts to pull. Pull the holder toward you and hold it slightly tensed, in the same time tighten the screw so the holder is pulled toward the tilt swivel. Tighten the screw until the holder is firmly in place, but still can be adjusted. Keeps your iPad firmly in place. You can easily remove the iPad when you want to use it elsewhere. You can choose to install the mount in portrait or landscape mode. Made of black ABS plastic. 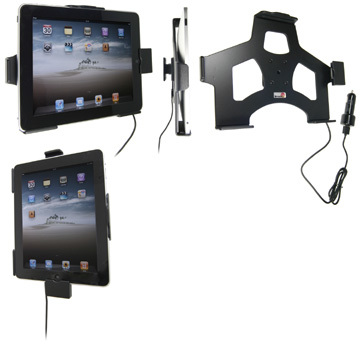 The choice for you who use your iPad in the back seat of a car. 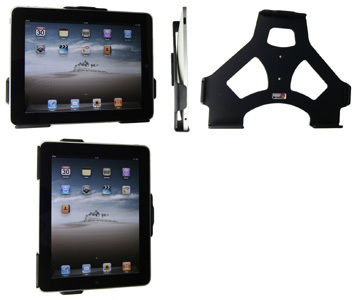 The iPad mount is placed onto a front seat's headrest. The installation is quick and easy, no special tools are required and the interior will not be damaged. You can connect e.g. a charging cable to the iPad when it is in the holder. 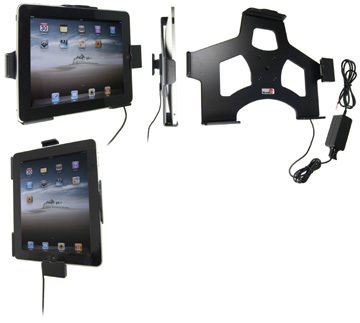 Use an active holder for your iPad while driving and you will always have a freshly charged battery! The holder provides a neat and comfortable installation - safe and convenient! The holder is equipped with a cig-plug for connection to the vehicle's 12 Volt socket. If you have a vehicle with USB interface, you can disconnect the cig-plug from the holder?s cable in order to get a USB-cable which you can connect directly to the USB interface in your vehicle. 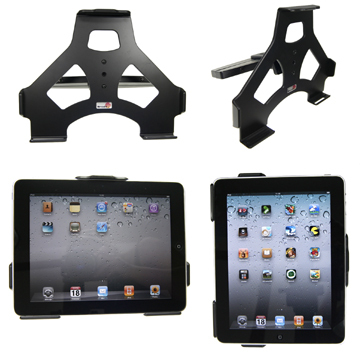 A versatile multi stand which is perfect for you who use your iPad in several places. 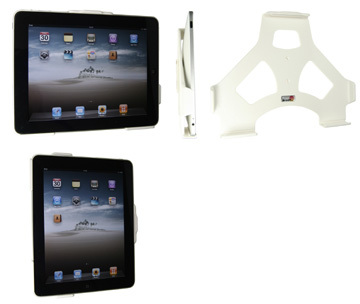 You easily place the iPad in the stand, it is then firmly attached wherever you go! Convenient to use anywhere at home, in the car or in the office. 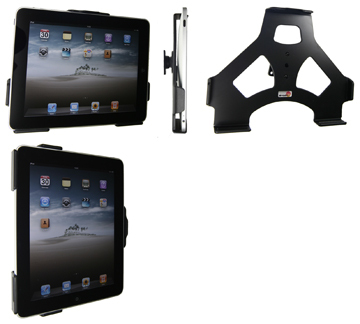 When using the multi stand it is easier to carry the iPad around with you. It diminishes the risk to drop it, since the stand is easier to grip than the device itself. 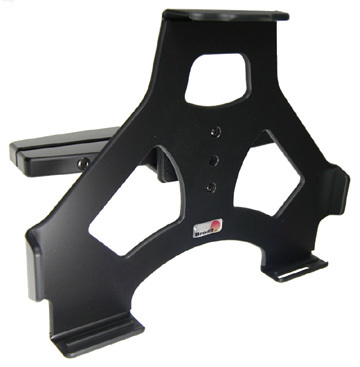 You can use the stand in several angles, just adjust the position depending on area of use. Also adapted for use in the lap. PDA Holder for Cable Attachment. The choice for you who often connect e.g. a GPS or charging/data-cable to your PDA. Fits all cables that fit with the PDA, both original and aftermarket cables (Leadtek, Royaltek, Holux, Haicom etc). You attach the cable to the bottom of the holder the same way as you do to the PDA, but you don't have to attach it manually every time you put the PDA in the holder. vehicle and you'll have your PDA in easy reach - safe and convenient.